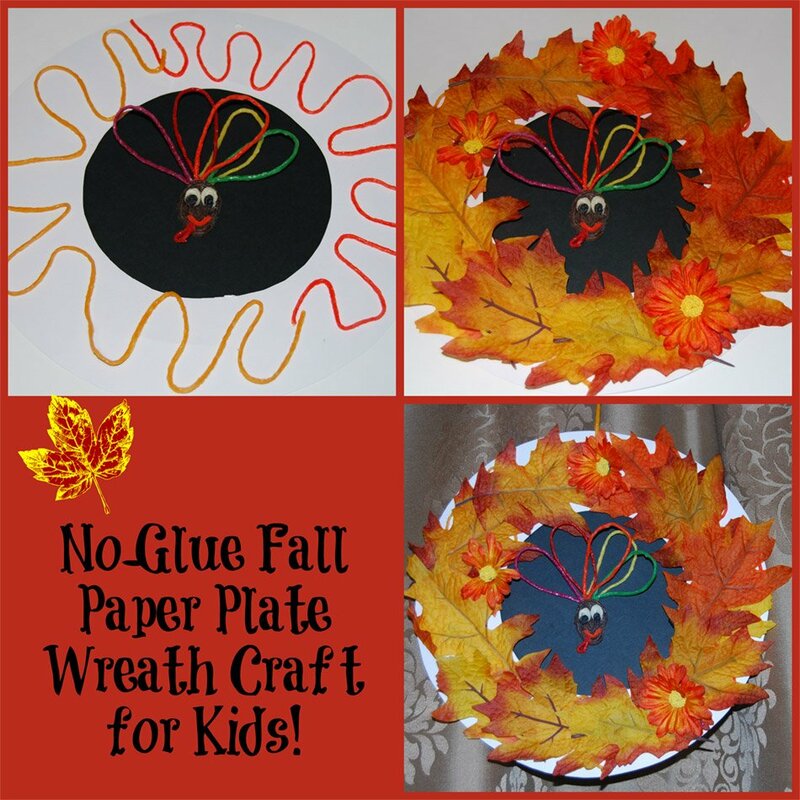 No-Glue Fall Wreath Craft for Kids! Do your kids like to craft but the thought of the mess leaves you a little less than excited? 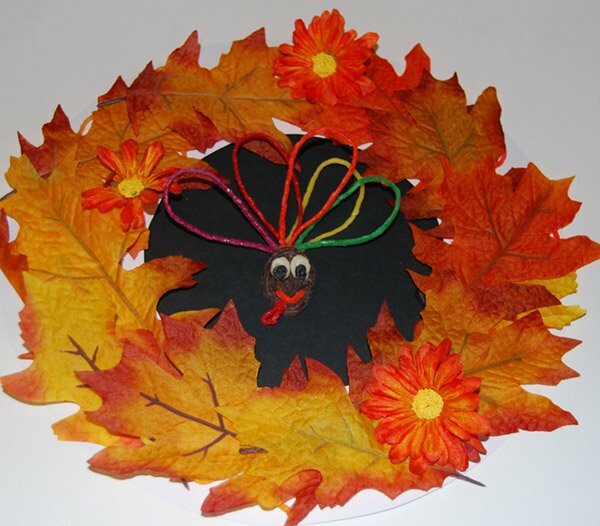 Try the no-glue fall wreath craft with Wikki Stix! With just a few simple supplies, kids can create fun fall paper plate wreaths with minimal mess to clean-up when the crafting is over! Step One: Have the kids cut a circle for the center of the paper plate. 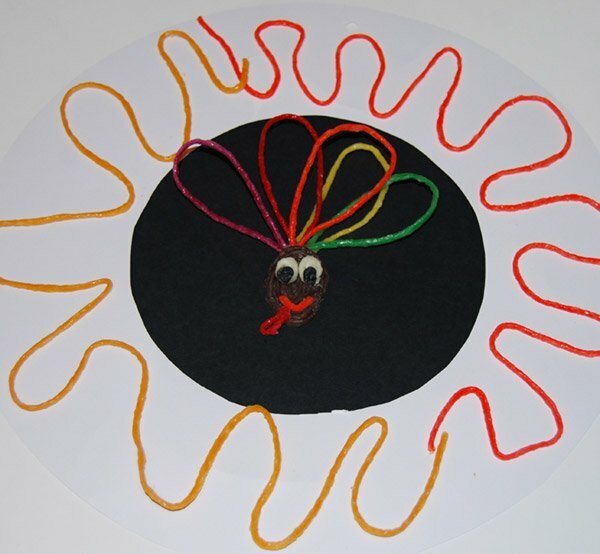 The size is not important, but the circle should be large enough to serve as a background for the Wikki Stix created item in the center of the wreath. Make an “X” with two Wikki Stix on the backside of the circle background then press it firmly to the center of the paper plate. Have the kids create the item and place it on top of the center circle of the paper plate. Press the item firmly to the plate on top of the background circle. Step Three: Randomly place Wikki Stix around the edge of the paper plate (as shown in the photo above). Step Four: Invite the kids to press real leaves, craft leaves, craft flowers, or other decorative fall items directly onto the Wikki Stix. Additional items and Wikki Stix can be used to fill-in any white spaces left on the wreath. Step Five: Hole punch the top of the paper plate wreath and thread a Wikki Stix through the hole for hanging. 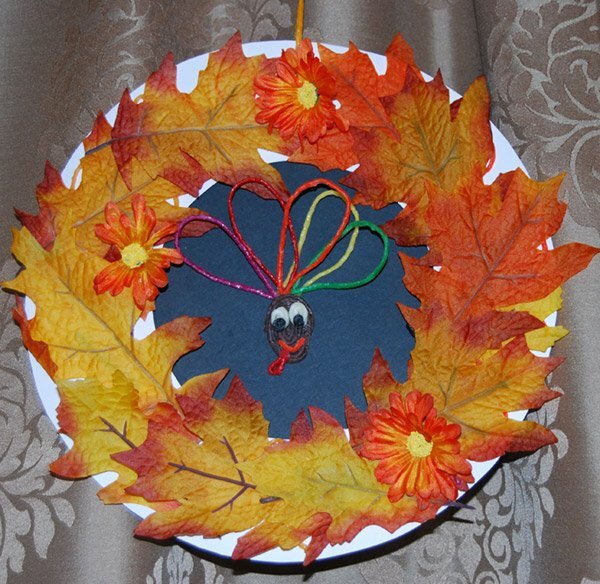 The no-glue fall wreaths are a great craft for fall make-n-take parties with kids. The wreaths also make beautiful crafts to display at home, in childcare, or in the classroom! 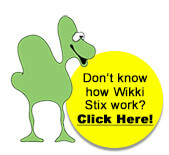 THE BEST OF FALL Learning and Crafts with Wikki Stix!